Developed by Acid Nerve, Published by Devolver Digital, Released on April 14, 2015, Available on PC (reviewed), PS4 and PS Vita. Review copy provide by the publisher. Have you ever had that experience in gaming where you're out of health potions, you've got the boss down to a sliver of its health, and you're one hit away from death yourself? Pretty intense, right? 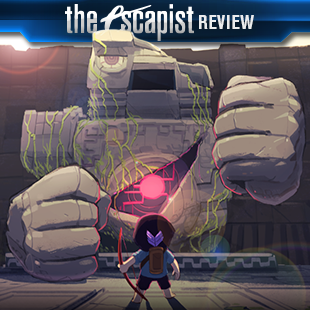 Titan Souls is a game that's built around that sensation, and while it certainly succeeds in delivering heart poundingly intense boss battles, its short run time and nearly non-existent story tarnish what is an otherwise spectacular indie gem. 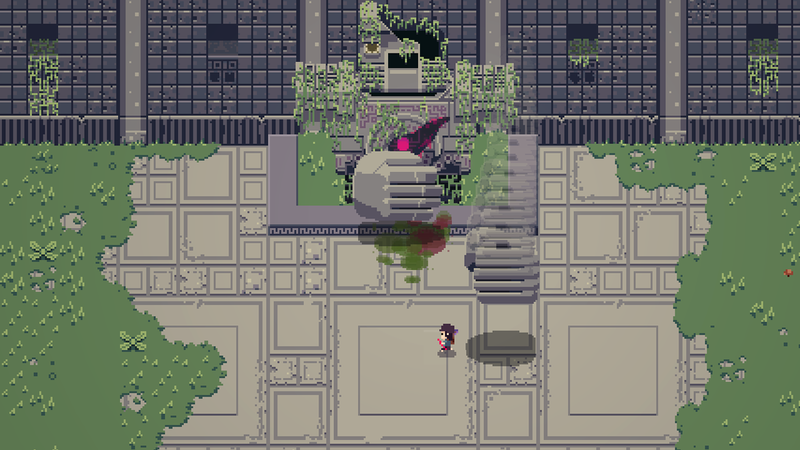 Developed by a team of only three people, Titan Souls is a game that is most easily compared to Shadow of the Colossus. There are no regular enemies, no towns, no NPCs, and no treasure chests. Just you, a beautifully empty world, and the sleeping titans that await your trusty bow. But while battles against the Colossi were often complex, lengthy, and multi-phased affairs, battles against the Titans are the exact opposite. Whether you win or lose a battle against a Titan, it's rare that the fight itself will last more than a minute or two on a single attempt. In fact, most of the time, it won't last more than 30 seconds. That's because it's one-hit-one-kill, both for you, and your Titan foe. Each Titan has a weak point that is often only vulnerable for a split second, and if you manage to hit that weak point with a single perfectly placed arrow, you win. The same holds true for you though, only your weak point is your entire squishy body. One hit and you'll find yourself piecing yourself back together at the last activated checkpoint. To make matters even more difficult, firing an arrow forces you to remain completely stationary, and once you fire the arrow, you must retrieve it before you can fire again. Players can call the arrow back, almost like how Thor calls back Mjolnir, but doing this also requires you to stand completely still. This leads to some incredibly intense boss battles where players are forced to take risks in order to succeed. Often times you're going to have to put yourself in the line of fire in order to hit a weakpoint, and if you miss or your timing is even slightly off, you're dead. 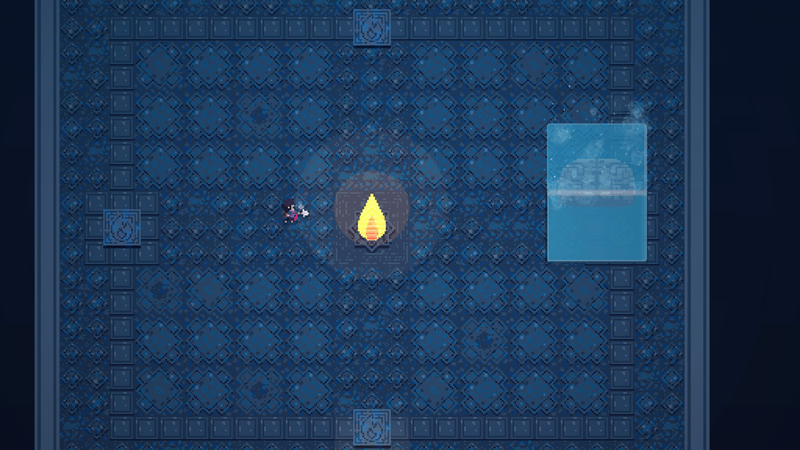 A game like this lives and dies by its boss design, and fortunately, Titan Souls absolutely nails it. There's a great variety of bosses that you'll face in the game, both artistically and in terms of how they fight. Sometimes you'll have to use a boss's own attack against it, other times you'll have to use the unique properties of your arrow retrieval, and other times it's just a straight up battle of reflexes and accuracy. You'll never fight the same kind of fight twice, and it makes every new boss fight an exciting puzzle to figure out. 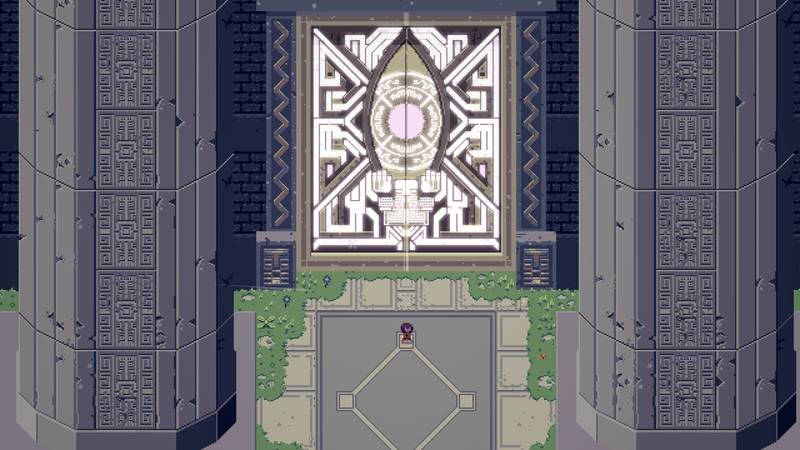 So the good news is that Acid Nerve got the most important part of Titan Souls right: the boss battles. But if you're expecting a satisfying reason as to why you're killing all of these seemingly innocent Titans, or some sort of payoff at the end, as Shadow of the Colossus had, you're likely going to be disappointed. Despite also using the same technique of having the main character absorb the essence of each slain Titan as Shadow of the Colossus did, Titan Souls never manages to effectively communicate what it actually means, eventually leading to a final confrontation that feels like it should be more meaningful than it actually is. Another issue with the game is its length. Your mileage may vary, but my first run through of the game, from the start to the end credits, was about two hours. After that, I spent a little bit of time cleaning up several of the Titans that I missed, eventually settling on killing 17 of them before calling it quits. I've no doubt that there are more hidden away, but after a certain point I lost interest in aimlessly wandering around an empty, albeit beautiful world. One last nitpick is the fact that when you die to a Titan, it starts you back at a checkpoint outside of the boss room rather than just placing you back inside. There's really no reason why the game couldn't just spawn you right back at the entrance of the cave of the boss you died to. While it usually doesn't take more than 20 seconds to reach any cave entrance from a checkpoint, considering how often you die in Titan Souls, and how quick battles can be, those 20 seconds add up really quick. After completing the main game, you'll unlock a hard difficulty, which actually changes things up quite a bit. Bosses move much faster, your windows to attack are even smaller, and some bosses even have their mechanics tweaked. The first boss of the game for example -- a blob that splits into two smaller blobs when you shoot it -- now splits into three in hard mode. Completing the game also unlocks a mode where you only have one life, and a mode that prevents you from running or rolling. Needless to say, if you pride yourself on besting hard games on their hardest difficulties, Titan Souls will keep you busy for a while. If that's not you though, expect to blow through Titan Souls in less than an afternoon. It's absolutely a great game that deserves to be played, if only to experience some of the most intense boss battles you'll play all year. But it's in this weird spot where it's too short if you're good at it, and perhaps too long if you're not. 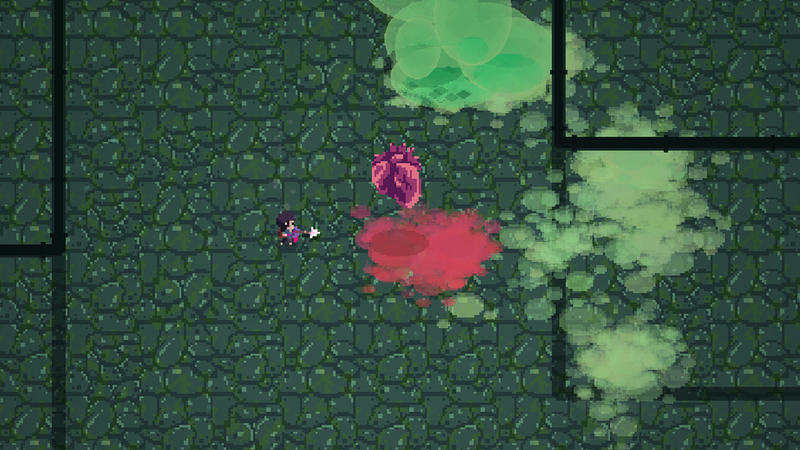 Bottom Line: 95 percent of what makes up Titan Souls is boss battles, and fortunately, that's the 95 percent of the game that Acid Nerve nails. Its story is nearly non-existent, and its on the short side, but the quality of the battles against the many Titans mostly make up for Titan Souls shortcomings. Recommendation: If you're the type that loves to be challenged, and then loves to be challenged even more on the second playthrough, then Titan Souls is right up your alley. If you're not one to replay games, there might not be enough bang for your buck.